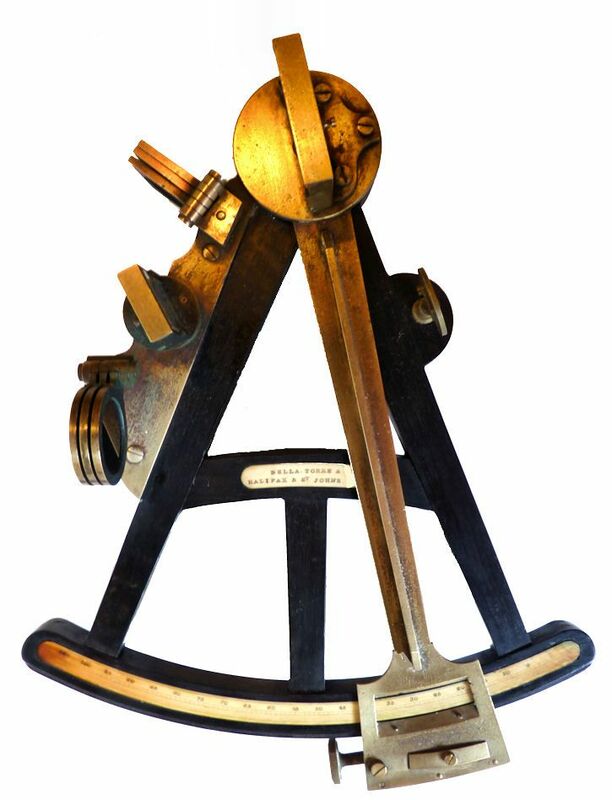 This Rare Sextant Has Been Sold. Thank you! Della Torre & Co., Halifax & St. Johns, N.B. 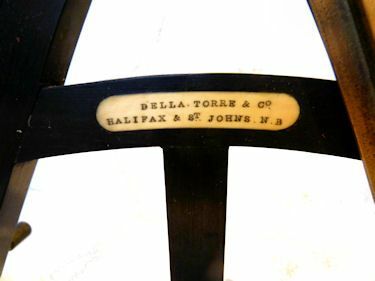 PRESENTED is a Mid 19th ebony frame octant which was made in Canada by the firm of Della Torre & Co. Heretofore, the only instrument known to be made by them was a single draw marine telescope of 16 inches that was recorded in Webster's Registry of Instrument Makers. There are a few references to this company on the Internet including that their Halifax office was affected by the Great 1877 fire. 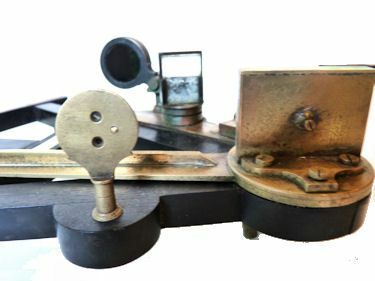 Checking further, the most comprehensive reference work on antique nautical instruments is "Sextants at Greenwhich" by W.F.J. 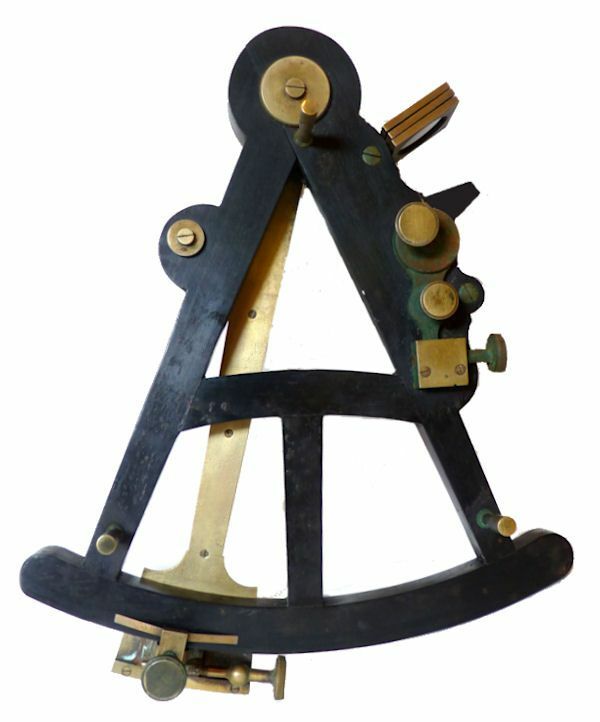 Moser Buyrns which catalogues the navigation instruments at Britan's National Maritime Museum. The company is not listed in it and we know of no mention of this or other Canadian makers of this type instruments. This example is mostly in excellent condition with all it brass machinery and filters intact. However, the silvering on the mirrors are well worn and the inscribed ivory vernier is missing. The Ivory graduated arc reads from - 5 to 105 degrees. 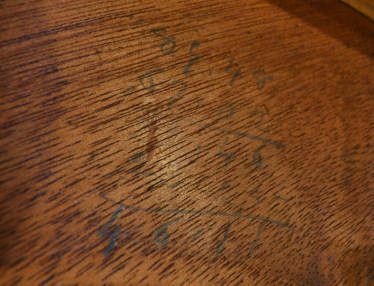 Imprinted on the Ivory plate on the cross beam is the company's name and its two locations. 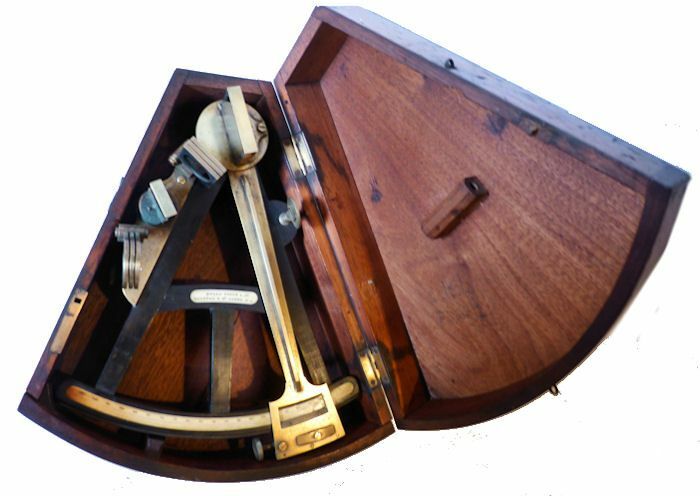 The octant uses an old style peep sight, and is housed in an early style "Fan shaped" Mahogany box, which helps date it to 1860 or earlier. INSTRUMENT CONDITION: The mirrors are in poor condition as might be expected for something that has not been used. The ivory vernier is missing. All the machinery is present and in working condition, The index arm clamp has its spring clamp and is in good working order. 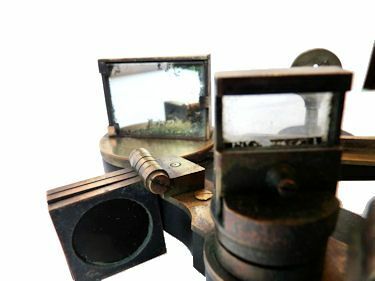 Both sets of shades, i.e., filters, four for the index mirror and three for the horizon mirror are complete without imperfections. CASE: The Fan shaped case is sound, but has some age cracks and there is a small piece missing on the top lower left. There are two latches and a lock, but no key, and no handle. It has an old patina and the normal nicks and scrapes of age and is a great looking case. 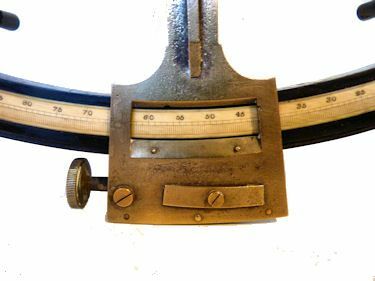 Length of index arm 11"
Radius of index arm 10 1/8"
Width of frame at arc 9"
This is a very special and important Canadian navigation instrument. It may be the only surviving one. 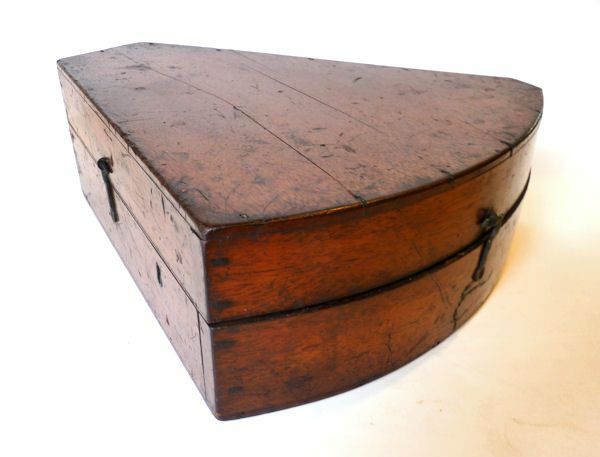 It will make a perfect a gift or an addition to a collection of nautical antique instruments.